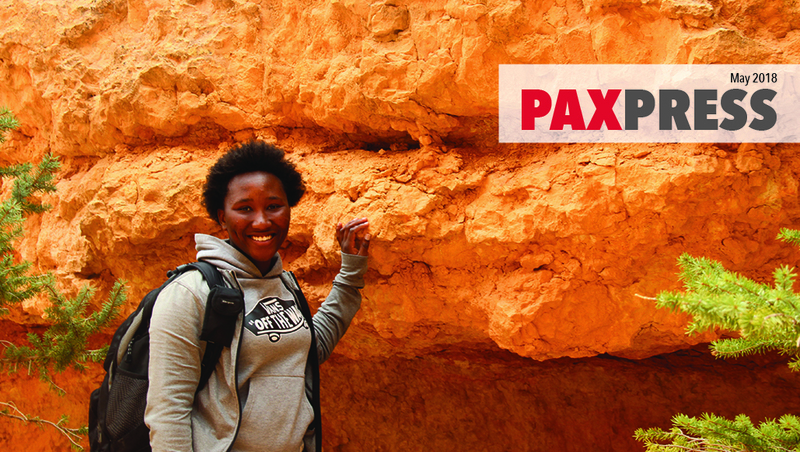 PAX students travel thousands of miles to the U.S. in order to experience one of the most intense and profound cultural exchange experiences. 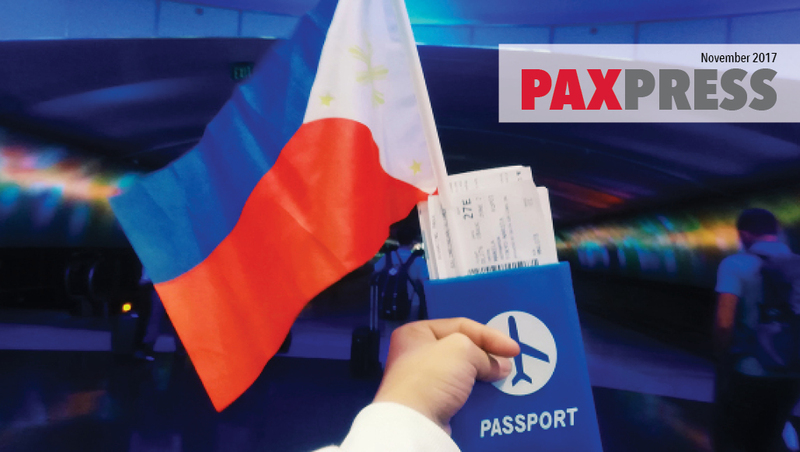 That said, technology allows for other opportunities to connect across cultures—without ever stepping on an airplane. 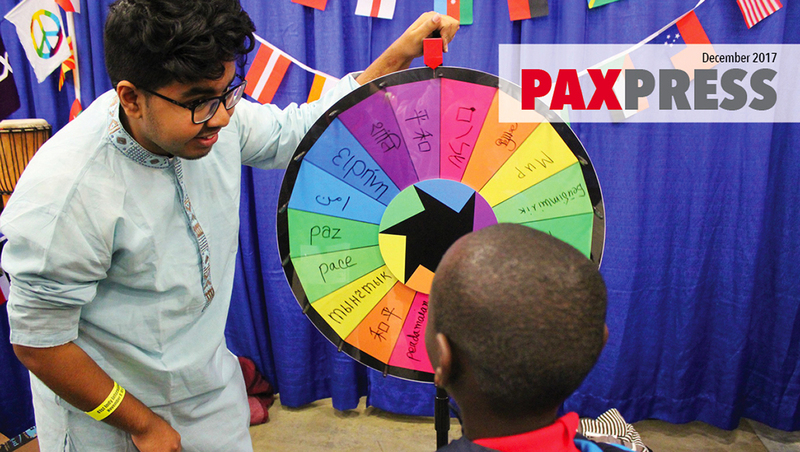 We asked our students what ways they could think of to connect the youth in their home country with young Americans. 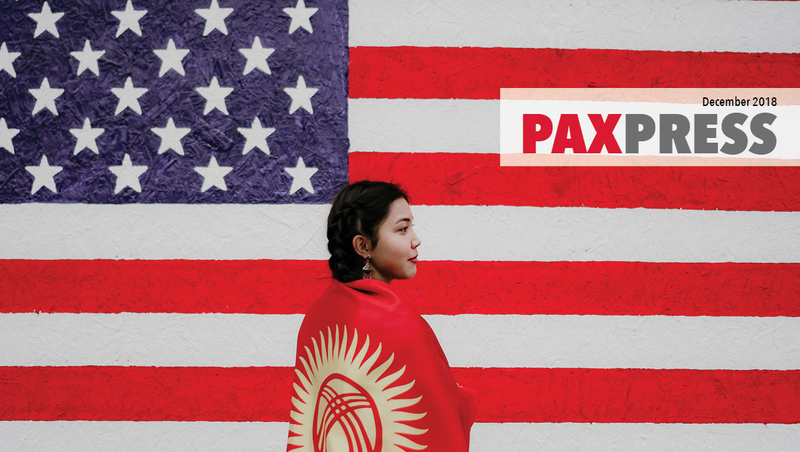 From a first-person video of a day in the life of a Balinese high school student to a choreographed dance number on the steps of Kyrgyz high school, PAX students responded as creatively as ever! 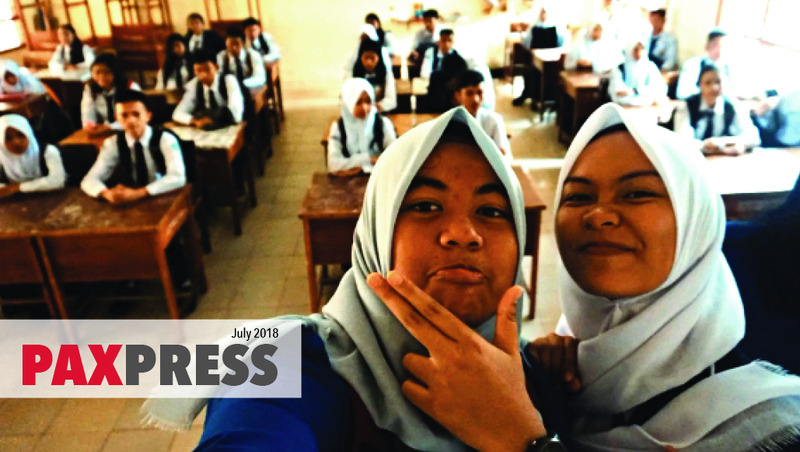 On the more serious side, students also waded into bilateral, technology-aided conversations on topics such as women's issues, minority rights, and freedom of speech. 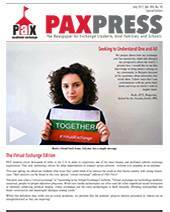 It's all in this special edition of PAX Press! "Time flies. Goodbye day arrived. 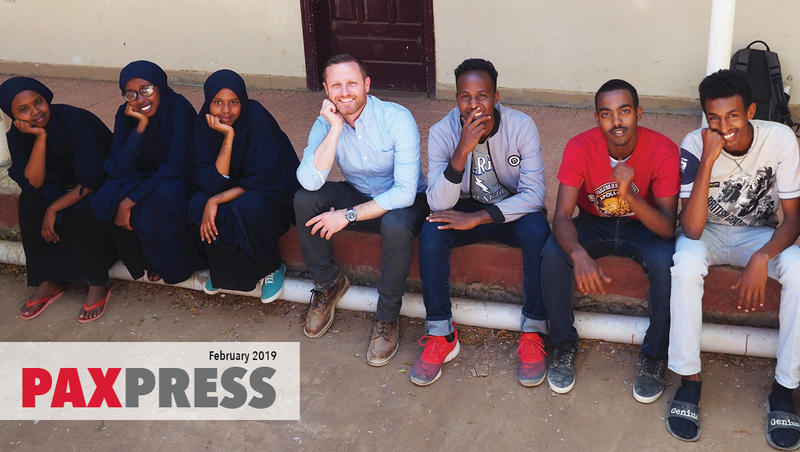 At the airport, tears were shed and in the days that followed, we realized that hosting Janai had enriched our hearts, minds, and spirits, leaving us with hope in a mad world. We think of her often, and when guests visit, they will stay in a room now called the 'Janai Room.'" 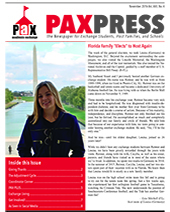 In addition to many more heartfelt reflections and farewells in our final issue, enjoy student observations on the Better Understanding for a Better World Conference, heartening updates from alumnae, and the long-awaited conclusion of the Ten Top Teens video series....a positive message to cap off a positively-inspiring year of PAX exchange. This month: Track, tennis, and lacrosse. Cross-country spring breaks. Word from an old friend in Kyiv. The Ten Top Teens series continues. The exchange experience illustrated. Civic Education Week and Earth Day. 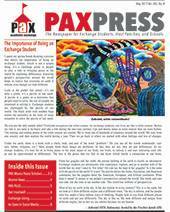 Updates from all five PAX Means Peace Scholars. & Easter Bunny hats to die for! 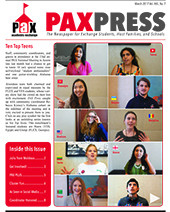 This month, we are excited to introduce you to a new video series, Ten Top Teens, which focuses on a special group of students who we got to know at the 22nd annual PAX National Meeting. We also have some very impressive achievements to share, including beauty pageants, swim meets, and synchronized skating in addition to two very special accomplishments in the court- and boardrooms respectively. 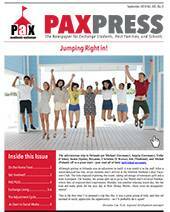 Of course, these impressive teens never take a break from volunteerism and culture sharing—related stories in our usual "PAX PLUS" (Peace through Learning, Understanding, and Sharing) section. Finally, we have an expanded and interactive "As Seen in Social Media" collage in addition to a very special honor for a very special coordinator on the back cover. 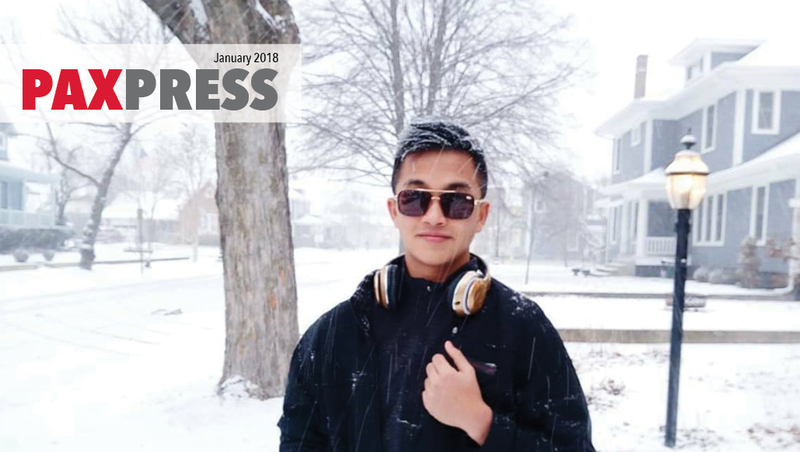 FYI, Kah from Malaysia met up with Punxsutawney Phil and may have some inside info—we're not saying one way or the other. 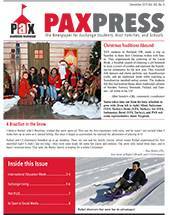 Have we got a holiday treat for you! 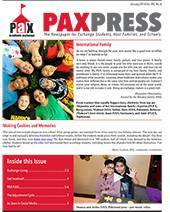 Including: our annual International Education Week reportage, features from three alumni, and that warm and fuzzy Christmas feeling. 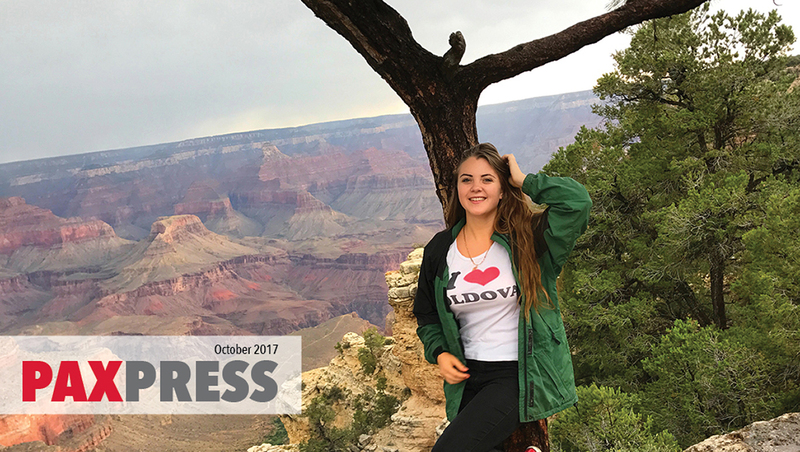 Plus: a German student's first trip to temple, an Armenian honored by his president, and our old Bulgarian buddy's video sequel. Not to mention: homemade Polish pampuchy, winter formal, and the Balinese boogie! 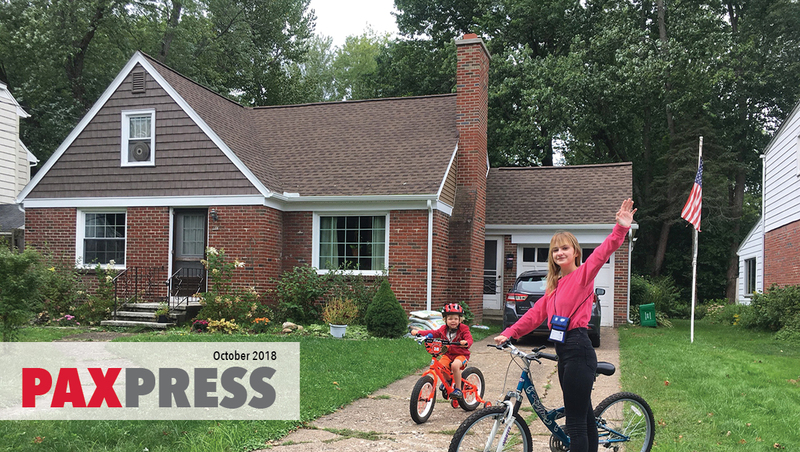 An exchange story three decades in the making; an adjustment cycle poem too good to pass up; an international teen set for Thanksgiving number one; and an introspective coordinator on twenty years with zero regrets! Plus: homemade bread, full stomachs, and Rose Bowls (not to mention Elvis)! Pumpkin patches and homecoming dances; spirit week and cheering on the team—that's what fall is all about. 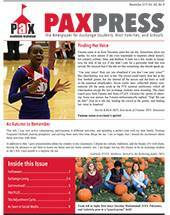 And indeed, the PAX community has blessed us with a rich harvest of these autumn classics—but also so much more: choir concerts and cross country; leadership camps and volunteerism lessons; Day of the Dead and District of Columbia! Meet the new class: serenading locals, sacking quarterbacks, hiking forests, catching bass, cheering teams, leading clubs, fixing breakfasts, sharing cultures, keeping newly-developed Doritos addictions in check...and studying migratory patterns of monarch butterflies. They always are a diverse bunch—that's what makes it so fun! 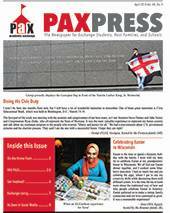 Read all about it in this program year's first full issue. It's your first peek at the 2016/17 class! We have the intimate (student interviews), the inspiring (reflective student quotes), the statistical (multiple poll results), and the slightly embarrassing (animal sounds for international ears). 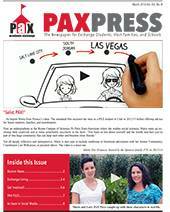 It's all in the premier issue of PAX Press' 22nd year! 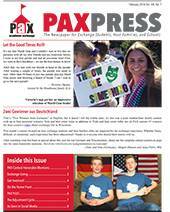 In the last few weeks, it seems that we cannot escape the impressiveness of PAX's Kennedy-Lugar Youth Exchange and Study (YES) program alumni—so much so that we have put together a special "Alumni Extra" edition of PAX Press. The year has flown by for many of our students and host families. 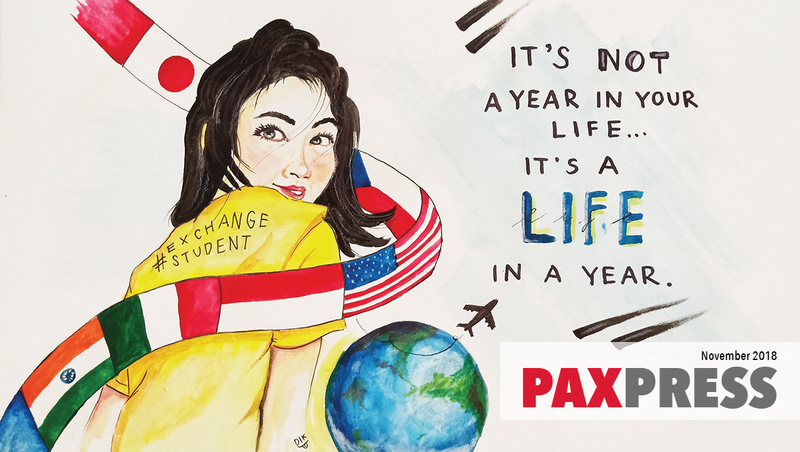 But before we send this outstanding group of 2015/16 PAXers our farewells, we would like to briefly reflect on the memories made and experiences had. Strap in for some funny faces, a bit of junk food, and plenty of tearful goodbyes. You may notice that the "PAX PLUS" section is pretty hefty this time round. 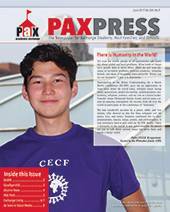 Habitat for Humanity, elementary schools, transitional housing programs, youth sports, cultural clubs, Special Olympics... no institution is beyond the reach of our PAX PLUS volunteers—as you'll see in this month's issue! 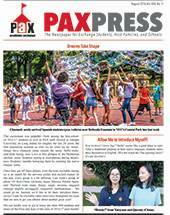 It's all about artists and alumni this month. 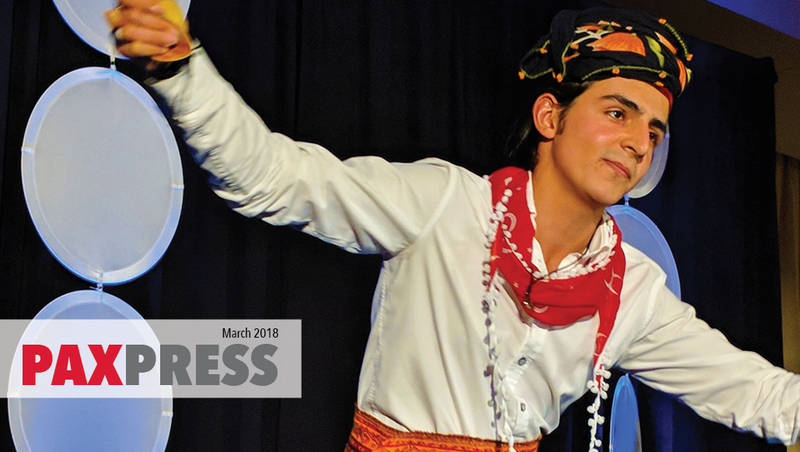 Bold Urdu ballads, classic Ukrainian ballet, precise paper mache yurtas, and inspiring sketches of Japanese bullet trains: PAX students are showcasing their creative sides! And let's not forget the theatre: It's a Wonderful Life, Beauty and the Beast, The Little Mermaid... Next year, PAX may need produce its own spring musical, featuring an all-star exchange student cast! Equally exciting, we have heard from more than a dozen alumni through five uplifting films. 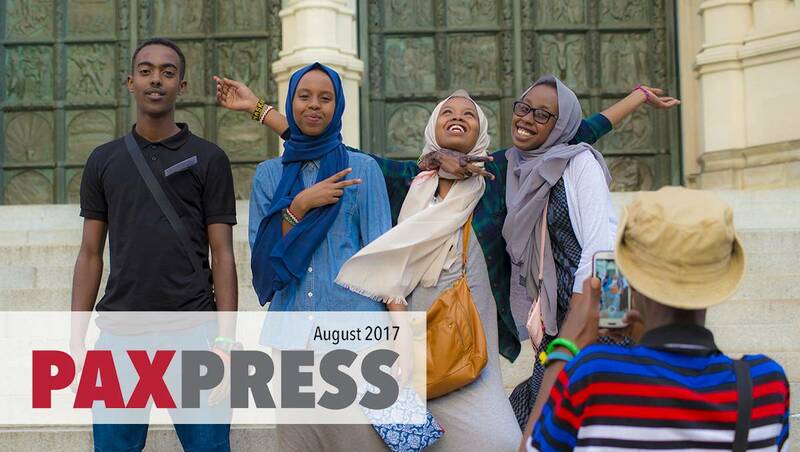 Tune in to both hear what insight their reflections may have for current students and to better understand the impact of exchange. Small sous chefs, snowy swan dives, slam dunks, storm troopers, and Louisiana celebrations...laissez les bons temps rouler! Space oddities, spontaneous eruptions of song, halfway point reflections, beaches and boating on New Year's (seems unfair), The Hunger Games waterfall, scary alligators, scarier dogs, and... cookies. 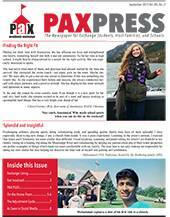 Minions, TEDx youth talks, leaf pile diving, and victory cheers… It's all in this month's highly-entertaining issue of the newspaper for exchange students, host families, and schools. Autumn is upon us. You know what that means: hiking and homecoming; apple picking and corn mazes. 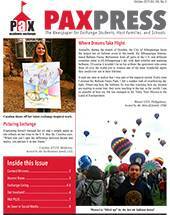 And indeed, the PAX community has blessed us with a rich harvest of these fall classics—but also so much more: balloon fiestas and sunflower showers; two U.S. exchange families' intimate and ongoing relationships with "Good Old Germany"; our first report from a 2014/15 Student Alumni Representative; and two absolutely enviable works of art. It's your first peek at the 2015/16 class! 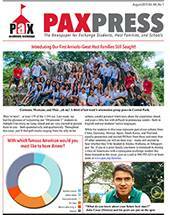 We have the intimate (student interviews), the inspiring (reflective student quotes), the statistical (multiple poll results), and the slightly embarrassing (PAX staff trying to speak Basque, German, Mandarin, Spanish, and Thai). 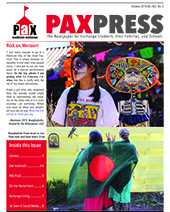 It's all in the premier issue of PAX Press' 21st year!